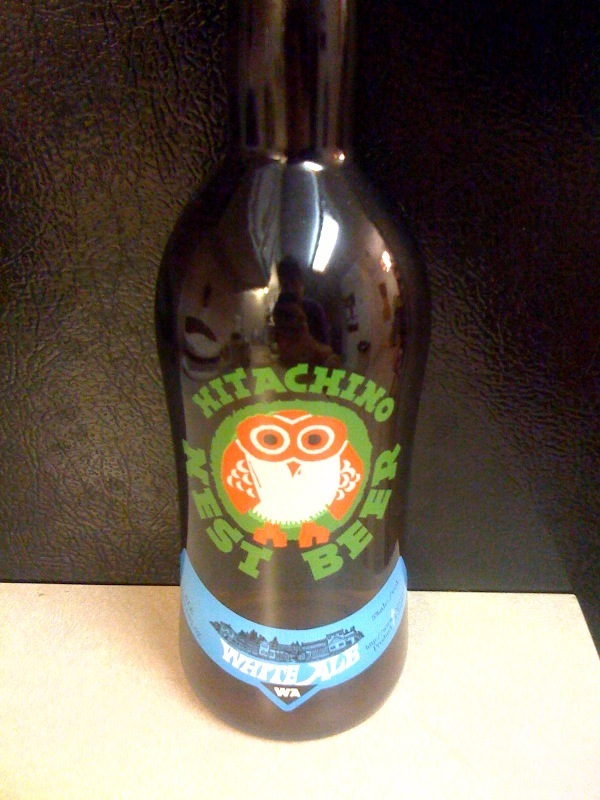 The BR Beer Scene: Hitachino Nest White Ale Spotting! Hitachino Nest White Ale Spotting! After work Friday I realized my beer supply was dangerously low, and LSU had an away game on Saturday leaving me a chance to try some new brews. So... I was on my way to Calandro's on Government (I know Seigen has the better selection, but Government is so much closer!) to check out the brews. There were a few new ones that I picked up, but what I was most excited about were bombers of the Hitachino Nest White Ale! This beer has been a fixture in my Top 10 beers list, and I featured it from Japan in the World Cup Of Beer. The problem is, it can be hard to find, as it tends to not stay on the shelves too long. A few local sushi joints carry the beer, but it's usually rather absurdly marked up. I believe it's $8 at Rock N Sake for a 12 oz. bottle, but the bomber (usually either 750 ml or 25 ounces) was only $9.69 at Calandro's. A good deal for this world class beer.